Superb quality and fantastic value for money, this aluminium four wheeeled rollator, features easy to operate brakes for secure stopping. The handles are height adjustable. The seat backrest are padded for comfort when sitting. A handy basket comes as standard. 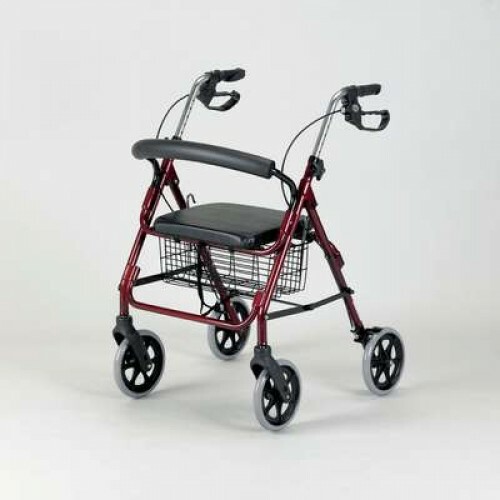 The 8" swivel wheels ensure the rollator is easy to manoeuvre. Lightweight yet strong, it is available in two attractive colours. Handle height 30 to 34½"
Seat size 14 x 12½"